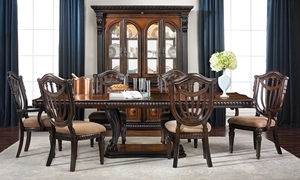 Elevate every meal with the sophisticated Old World styling of the Grand Estates dining collection. 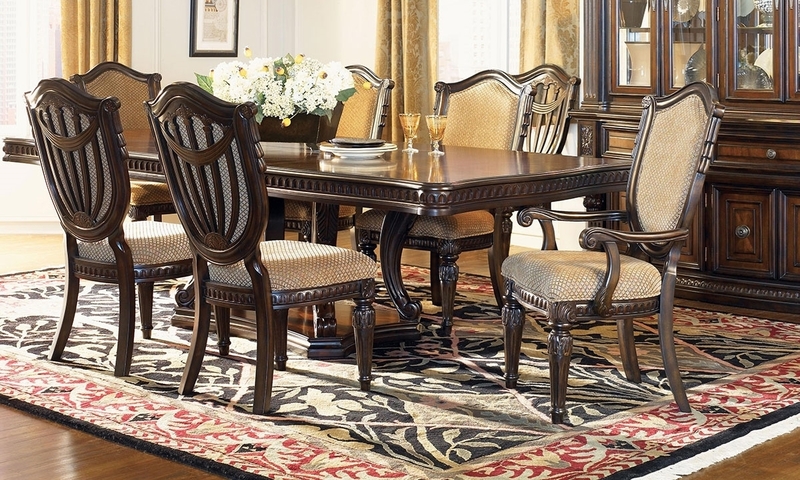 This five-piece group centers around a shaped rectangular pedestal table with detailed carvings and dentil moldings. With two included leaves, its 72-inch top can extend to a stunning 108, offering a magnificent display of delicate walnut inlays in a warm cinnamon finish. Four lute back side chairs round out the room, each upholstered in rich gold fabric and featuring elegant carved legs and draped accents.